The Boss Wants your Medical Records? Call the Union …Quick! All of us at YEU are concerned for the privacy of YG employees and the protection of their personal & private medical history. Sometimes workers must provide their employer with medical information to access a workplace accommodation or receive benefits. The right to privacy is quasi-constitutional, meaning it can’t be set aside or trumped by other policies or rules, so any exceptions to that right must serve a legitimate purpose. Any information shared has to be handled with extreme caution. An employee’s medical condition must have a genuine impact on their work, affecting attendance or creating performance issues. 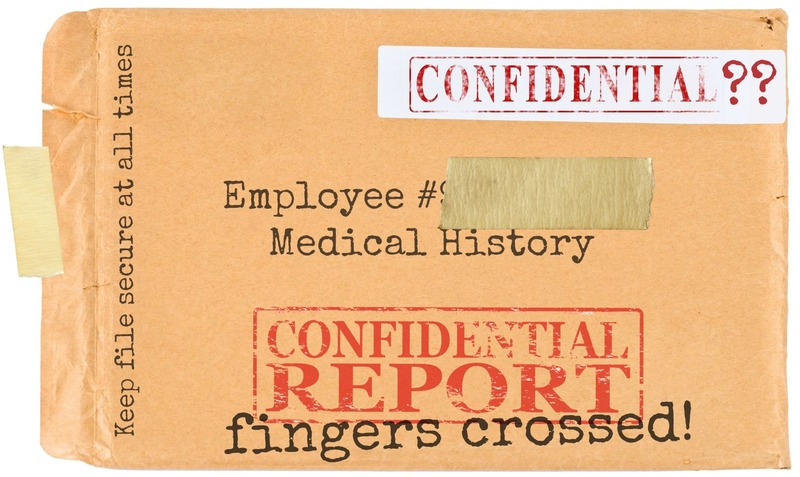 Without a significant impact, the employer does not have a right to medical information- period. Employees seeking a medical accommodation are obliged to provide some information to the employer; we don’t dispute that. The information must be limited to prognosis and limitations or restrictions that would affect your ability to perform your job. Often though, there is uncertainty about what the employer is entitled to, and how they should be using and protecting this information. Your diagnosis is your business, not your employer’s. Requests for information or history beyond what is genuinely needed are invasive; employees can never be sure who will see their private information once it has been provided. We know of many instances where the Yukon government has collected extensive medical information on employees, far beyond what is required to access benefits or develop an accommodation plan. In several cases, information about other family members has been collected and shared – clearly without their knowledge or consent. Over time, these reports have been copied, e-mailed and viewed by many people in various government departments as well as other service providers. This should never be allowed to happen; it can be very distressing for the workers involved, and is a significant concern for the union. Many employees do not ask for the union’s help at the beginning of the accommodation process, and end up providing a lot of unnecessary and deeply personal information to their employer. An employee should share medical information only when absolutely necessary, and only the information absolutely required to reach an accommodation. Any general requests for medical records should be refused. The employee should also refuse to authorize any employer representative to speak with their doctor directly. A reasonable alternative is to have the employer write their questions out so that the employee can discuss it with their doctor and consent to specific disclosure. YEU has asked the Privacy Commissioner to examine Government of Yukon’s processes around collecting, using, sharing and retaining medical information related to the disability management and accommodation process. In the meantime, we can help employees navigate the inquiry and accommodation processes and support employees in protecting their privacy. Jim Regimbal chaired the Yukon Employees’ Union’s recent Human Rights panel discussions of Post-Traumatic Stress Injury. As Dawson City’s Fire Chief, President of the Association of Yukon Fire Chiefs, and Yukon’s Director on the Canadian Association of Fire Chiefs, he has advocated for improved services to first responders suffering from PTSI and has been instrumental in bringing the issue into focus in Yukon. He provided powerful empathy and insight earned from his many years on the job. 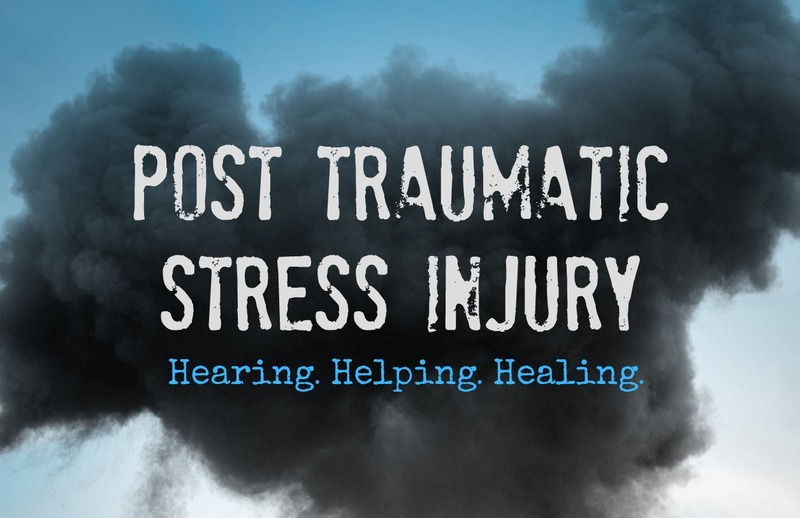 The first step is acknowledging and accepting that, whatever name it’s given, Post-Traumatic Stress Injury is real and that trauma significant enough to cause injury can’t easily be quantified. The science supports this, with mountains of evidence explaining the changes to brain structure caused by exposure to trauma. We can’t choose not to “believe in PTSI” any more than we can choose not to believe in climate change. The evidence is clear and the science is irrefutable. PTSI can be the result of a sudden, dramatic incident but it is just as likely to develop invisibly over many years. Its onset can come without warning, sometimes after a seemingly benign event. Whitehorse Psychologist Nicole Bringsli used a water glass analogy; a glass can hold only so much liquid. All it takes is one too many ordinary, inconsequential drops of water and the glass spills over. We can witness and contain only so much pain and trauma before we reach our capacity to cope and, like the water glass, we risk spilling over. What constitutes trauma? There’s no easy answer. Trauma that affects one individual very profoundly can sometimes be borne by another, or can be overcome with access to the right kind of support at the right time. Bringsli reminded us that each individual brings their own history and sensibilities to their work, and each person responds differently to similar circumstances. What occupations or events are likely to lead to psychological injury? Combat veterans, first responders like firefighters, police officers, EMS providers, dispatchers and corrections officers witness things they can’t ever forget, scenes and calls that will affect them forever. A career of running into burning buildings, delivering terrible news or fighting to save lives takes an enormous toll on the heart and psyche. There are many lines of work that put people at risk, and it’s important to recognize the danger so we can provide appropriate resources to all those who need them. Many caring professions are occupied predominantly by women, and many struggle silently with the emotional impacts of that difficult work. Though rarely labelled PTSI, the ongoing emotional trauma has the same impact on quality of life and mental health. It’s time to consider how broadly affected both men and women are by their work, and how many professions are high risk for psychological injury. Social workers counsel child abuse victims and must bear witness for their frightened and confused young clients. When we talk about social workers’ emotional health, we often say they have “burned out”… we don’t consider PTSI as a likely outcome. Vicarious trauma and compassion fatigue – whatever we call it, the results can be life altering and career limiting. Front line workers in shelters for domestic violence victims face recurring trauma – imagine the daily challenge of maintaining a healthy outlook when you’re immersed in the pain of others. How hard must it be to turn a woman away when your facility has no space, knowing she and her children have no choice but to return to a dangerous home? These workers must also remain anonymous to protect the security of those they help, and so they often have no choice but to struggle in silence, without recognition or support. Prevention is more valuable than cure; our panel members spoke again and again of the urgent need for effective critical incident de-briefing practices, currently almost non-existent in Yukon. They talked of the need for trained peer support, for non-judgemental listening and for access to counselling services. Other jurisdictions have comprehensive supports we haven’t even begun to consider here in the Territory. When our panel was asked for a wish list to help combat Post-Traumatic Stress Injury, there was consensus on the need for critical incident debriefing, for pro-active discussion and peer support. More funding is needed to ensure local mental health service providers are resourced to provide care when it’s needed. Employers must prioritize worker safety and be as diligent in protecting the minds and spirit of their employees as they are about their physical well-being. Jeannie Dendys, Yukon’s new Minister responsible for the Yukon Workers’ Compensation Health & Safety Board offered her commitment to supporting PTSI prevention & treatment. YWCHSB Chair Kurt Dieckmann stressed the role of the employer and the value of prevention. It’s important to make sure protections are built into work environments likely to experience critical stress and trauma. Normalizing help-seeking behaviour will go far, he says, to de-stigmatizing PTSI and making work safer. How we respond to our injured colleagues, neighbours and family members, is an indicator of how likely they are to heal. Forcing sufferers to convince us of their injury, prove its cause and defend their need for help adds insult to injury and creates barriers sometimes too great to overcome. During the recent Territorial election campaign, new Premier Sandy Silver promised to amend the Yukon Workers’ Compensation Act to include presumptive provisions for post-traumatic stress disorder (PTSD/PTSI) in first responders. That commitment was echoed by Minister Dendys at our event. At YEU we believe presumptive provisions must cover first responders, but that other high risk worker groups must also be included if the system is to protect those at greatest risk of harm. Our community is compassionate; we are quick to help families in need. We support our sick, injured neighbours when there’s a fire, a death or catastrophic illness. That empathy must extend to the helpers, not just to the victims. We invite you to watch the full video recording of our two panel discussions. 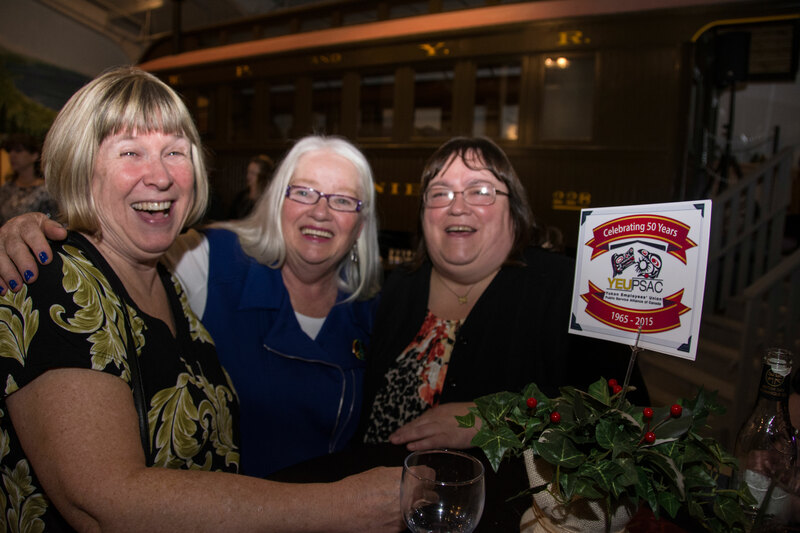 YEU Celebrates 50 years of Yukon Solidarity! 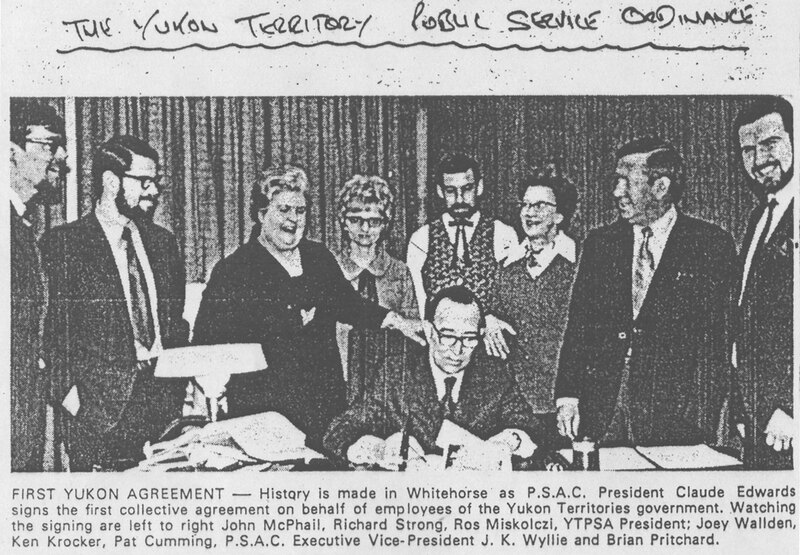 Saturday November 21 2015 marked a milestone for this northern union; 50 years ago to the day, a group of determined Yukon Government workers met for the first time to form the Yukon Territorial Public Service Association. 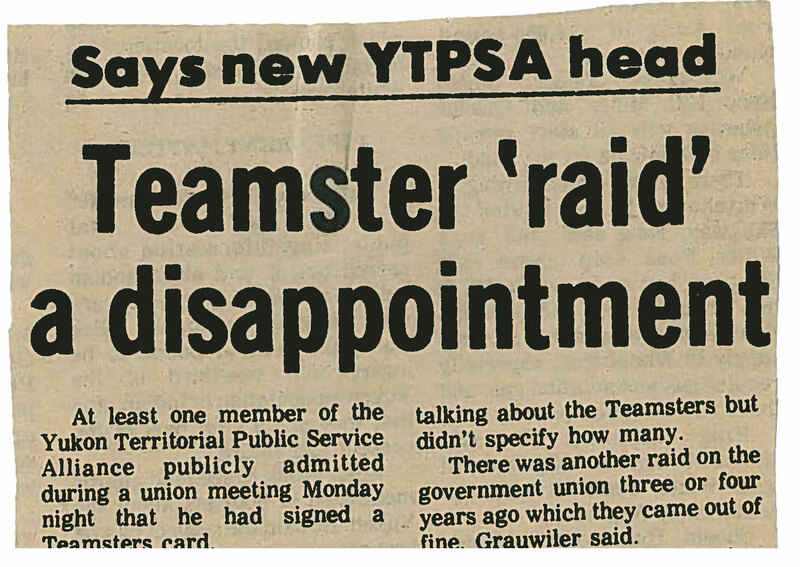 They worked hard over the first few years to achieve full component status within the Public Service Alliance of Canada, fought off two Teamster raids and have grown to an inclusive, territory wide organization representing workers from more than 20 employers. We were proud to honour the achievements of those who paved the way, and we look forward to the next 50 years! 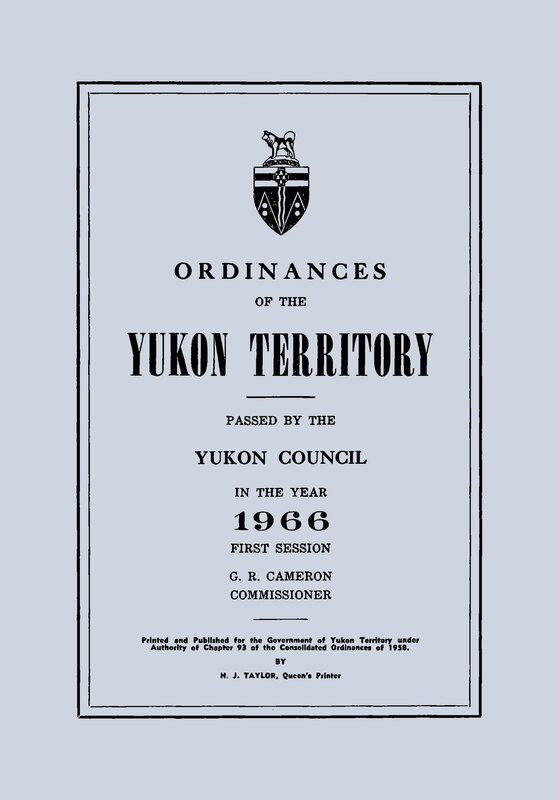 Have a read of this 1976 Yukon Territorial Public Service Association newsletter from our archives. Training, Convention, dues and bargaining input… sounds a lot like today’s YEU. 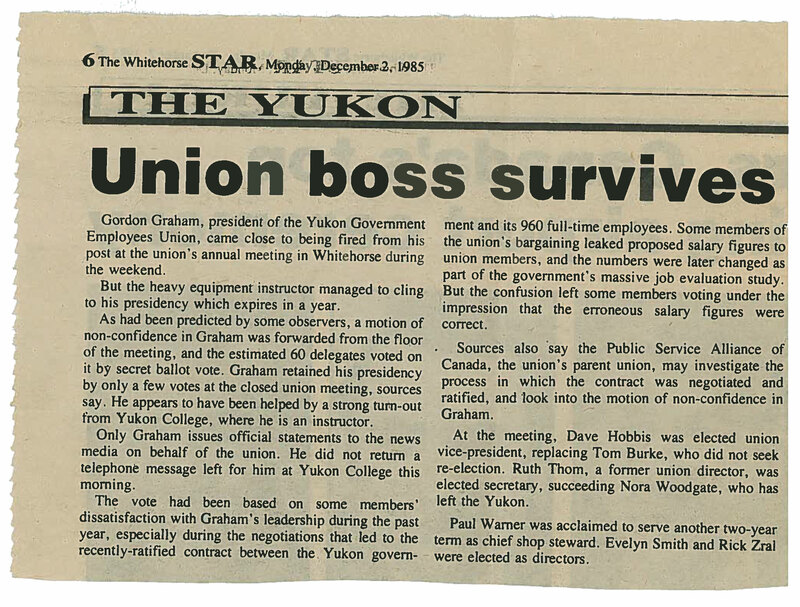 The YTPSA was the precursor to the Yukon Employees’ Union as you know it today. We’ll share more of our history over the next year; 2015 marks 50 years as an organized workforce in the Territory!